Africa offers a stunning diversity of landscapes, from the crystal clear waters of the lakes and rivers to the desolate beauty of the wild plains and savanna. There are lots of different African adventure holidays to try, but travelling from Victoria Falls on the Zimbabwe border to Dar es Salaam on the coast of the Indian Ocean is a particularly special route. Offering the chance to visit local villages, as well as see some of the most famous sights, the route includes some of the most iconic locations in east Africa. Here’s an idea of some of the things you can expect to see and do during your tour. One of the most visually breath-taking sights in the world, Victoria Falls tumbles over a sharp 100 metres drop but stretches out far further, being more than a mile wide. The roar of such a huge amount of water crashing over the edge is almost deafening, and the spray radiates out for 500 metres so if you want to see Victoria Falls up close, prepare to get wet! The Falls covers the border between Zimbabwe and Zambia, but two thirds of the Falls actually lie on the side of the latter, which is the better side to view it from. 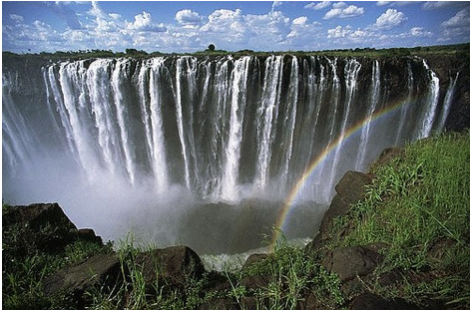 But staying near Victoria Falls offers far more than just views of the famous landmark, there is lots more to see and do. For those who want a more active holiday, there’s the chance to try out white water sports, such as rafting or canoeing, whilst for an even greater adrenaline rush, there’s bungee jumping too. A view from the air is difficult to resist, and helicopter rides over the Falls offer a very different view, but is a simply stunning experience. Don’t forget your camera! Around five days into the trip, you will arrive at South Luangwa National Park, camping just outside, close to the river bank. The Park itself offers both day and night game drives, two very different experiences of the African wilderness. If you opt to go at night, you might even see the elusive leopard, as there are some of the highest concentrations in Africa of this secretive animal in South Luangwa National Park. Other animals you might see during a game trip include crocodile, lion, hippo, antelope, elephant, wild dog, buffalo plus water and bush buck. 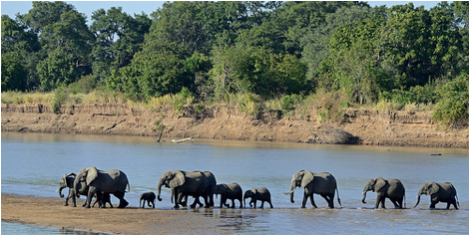 South Luangwa holds some of the greatest numbers of wildlife, but due to being relatively inaccessible compared to other parks isn’t overrun with visitors. It’s also one of the very few which permit night-time safaris. Simply cross the bridge over the Luangwa River and you’ll immediately spot crocodile and hippo, whilst along the banks there’s almost certain to be elephants grazing. Several prides of lion call the park their home, so your chances of seeing this king among beasts are excellent. At the end of your trip you will reach Dar es Salaam, and whilst there is lots to see and do – as well as a lovely beach to relax on – you could finish off your tour with a trip out to the exotic island of Zanzibar. An archipelago approximately 90 km long and 30 km in width, Zanzibar is easily reachable by ferry from mainland Tanzania. Zanzibar is also known as the Spice Island, having previously been an important stop-off in the thriving Spice Trade, many centuries ago. Visitors today can see for themselves why this was the case; Zanzibar remains one of the very few locations in the world which produces saffron along with other fragrant spices such as nutmeg, cloves, ginger and cardamom. 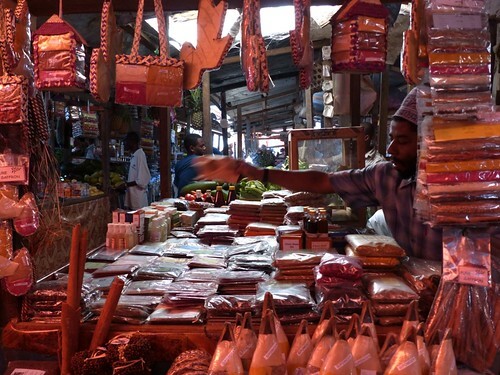 Going on a ‘spice tour’ is a great way to see the island and visit some of the plantations, where you can also buy teas or spice packs as well as sample some of the more unusual fruits grown on Zanzibar. If you haven’t yet had your fill of wildlife, you could also pay a trip to Jozani Forest on the island. There are lots of nature trails and even the trees themselves are magnificent. But the real stars of the show are the almost-extinct Red Colobus monkeys who are playful and will even pose for a picture with you if you are lucky! 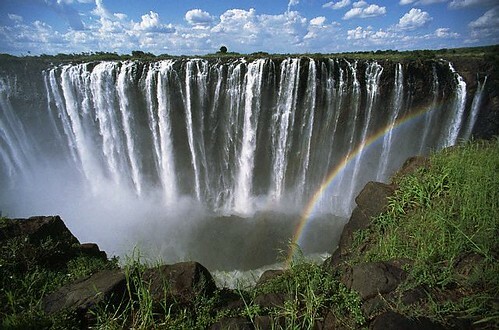 The tour starts spectacularly at Victoria Falls and the standard doesn’t drop for the entire experience. Whether it’s a walk with lion cubs, a trip to a local village or horse-riding into the game reserves, there’s so much to see and do, you will wish your stay was far longer than a fortnight!